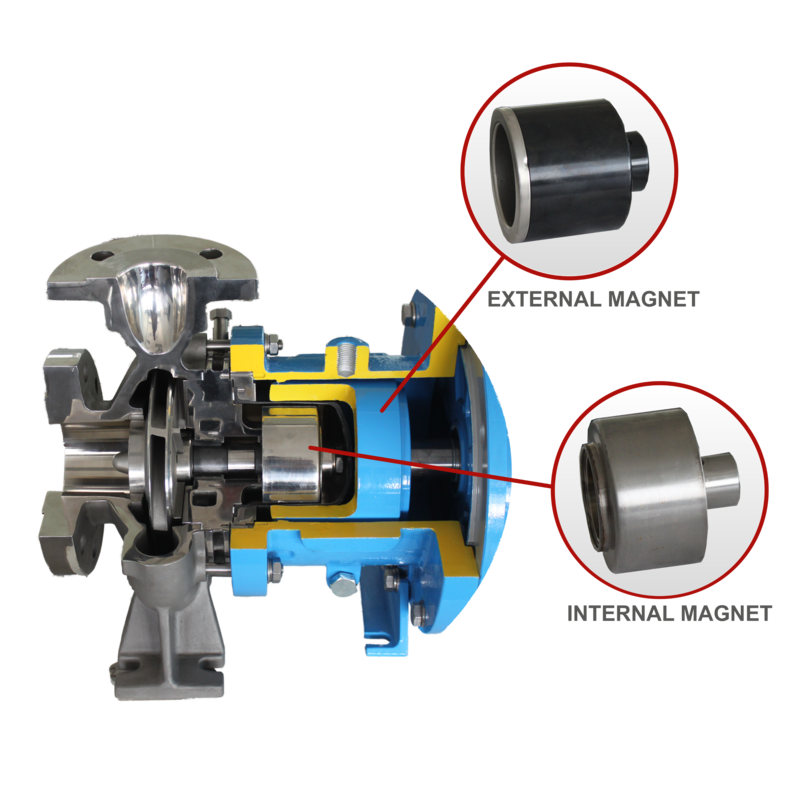 A magnetic drive pump uses a magnetic field to create the rotation of the impeller (or any other device utilized to displace fluid). The external magnet is muonted on the motor shaft. 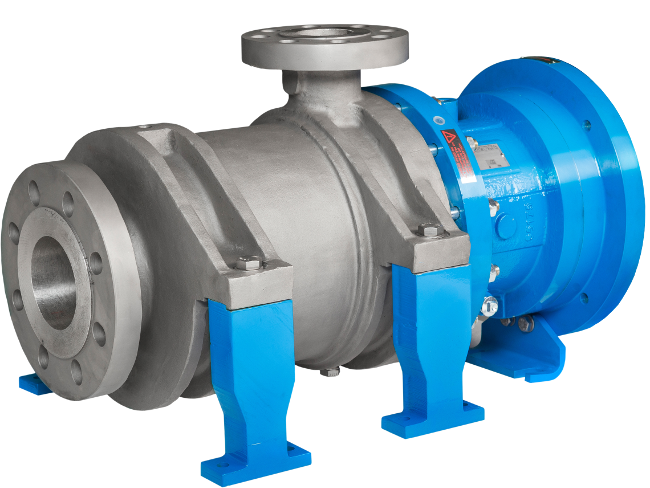 The liquid end consists of pump impeller (or any other device used to displace fluids) and an internal magnet mounted onto the driven shaft which is supported by bushing assembly and hermetically sealed by containment shell. Without the need of a mechanical seal. The high performance magnets can be operate at high liquid temperatures without external cooling. Pump is sealless guaranteeing operational safety for operators and environment, most of all in case of critical, hazardous, corrosive or expensive chemicals pumping. Without mechanical seal, both initial costs of the same and cumbersome auxiliary API flushed plans are avoided. For the same reason, pump selection, operation and maintenance are much simpler and less expensive than mechanical seal. Ability to heandle high gas content fluids in which most mechanical seals would fail due to poor lubrification and cooling.